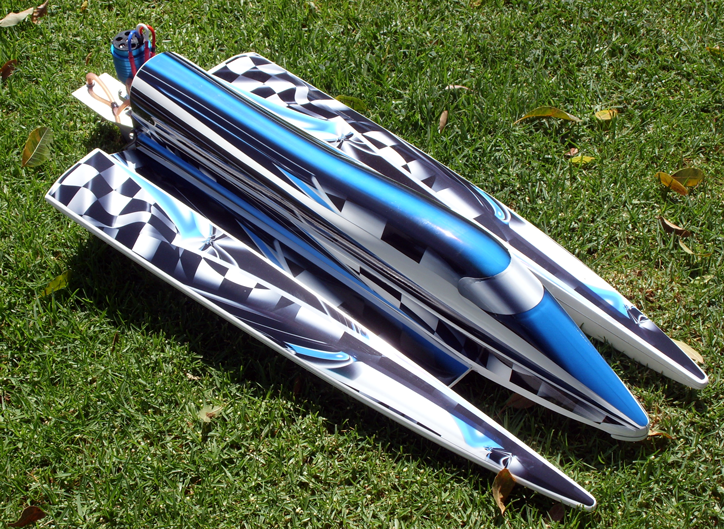 Designed for 3.5cc Outboard motors. White Primer in the mold provides a perfect finish for decals or paint. Epoxy/glass construction provides strength and durability. Floatation is built into the hull as is an aluminum transom plate. Full assembly instructions are included with each hull. Running Hardware and Radio Box Kits are available.